With five trims, there is sure to be a Camry that’s right for you at Pitts Toyota dealer serving Dublin, GA.
Go for economy and still get incredible value. The LE has a power driver’s seat, a rearview camera, a USB port, and Bluetooth. The 6.1-inch touchscreen comes with Siri Eyes Free. Split-folding seats offer utility. Go for a sporty look with the SE. The Camry’s more athletic appearance is a clue to the sport-tuned suspension that makes this sedan more fun to handle. Dash tech includes a larger touchscreen and HD radio. blue-trimmed interior offers contemporary features such as push button start, hands-free trunk, and a Qi wireless charger. cushions. The V-6 is available on this edition. Go all out. Leather upholstery is just the start of this packed edition. If you add a V-6, you’ll get 268 horses under the hood. This comes with a noise-reducing windshield. You also get an upgraded Entune system. The available safety package adds a pre-collision warning with automatic braking. Other aspects include a blind spot monitor, a lane alert, automatic headlight control, and a rear cross-traffic warning. From value editions to original design choices, the Camry is ready to serve your needs. 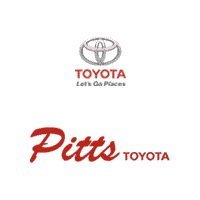 For a test drive, stop by Pitts Toyota dealer serving Dublin, GA.